Since 911, the Federal Emergency Management Agency (FEMA) and others have been defining and refining competencies for emergency management professionals. In so doing, they have addressed directly and indirectly the qualities of leaders. We know that leadership is not a person or a position. It is a complex relationship between people, based on trust, obligation, commitment, emotion and a shared vision of the good. We also know that transformational or change-based leadership has become an organizational necessity given the fact that emergency management, as a profession, is just now coming into its own and emergency management jobs are not traditional in terms of the how, where, what is being done and by whom. A process involving a flexible team in a networked world with diverse skills, interests and attitudes has replaced the fixed bundle of tasks performed by any individual worker. In the book Ethics, the Heart of Leadership, Bernard M. Bass and Paul Steidlmeier suggest that authentic transformational leadership best describes what emergency managers do in that it expands the domain of effective freedom, the horizon of conscience and scope of altruistic intention to share mutually rewarding visions of success and empower employees to convert visions into reality. Michael Hackman and Craig E. Johnson, in their book Leadership: A Communications Perspective, suggest that it is functional – how well the individual exhibits leadership qualities in an emergency and communicates with others during the event. For example, during the events of 911, office workers carried injured colleagues down the stairs of the World Trade Center, while firefighters rushed up to help victims. Those in buildings near Ground Zero pulled pedestrians off the street and out of harm’s way. Staff in coffee shops organized to provide food to relief workers. Employees at many firms in Manhattan refused to be cut off from their jobs, finding new ways to get to work by kayaking the East River, renting buses and hiking. Today, emergency managers are certainly not traditional public managers. After surveying 300 leaders from the Department of Defense, the Department of Homeland Security, state and local emergency management departments as well as police, fire and sheriff departments, my research shows that these leaders know how to enact innovative ideas by working within existing bureaucratic hierarchies and by injecting a sense of passion and purpose that brings along the more risk averse. This research sought to identify and clarify distinct character traits that exist within emergency management by asking: Describe someone who has been successful in enacting significant change in respect to more effective emergency management? Why have they been successful? 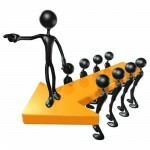 Successful leaders, it was noted, are open to sharing the way in which they took charge. In situations where the designated authority was present to lead subjects out of harm’s way, leadership was a natural evolution of planning in action. Yet, the same dynamic also occurs where there was no designated authority present and a leader emerges to address the situation. In so doing, leadership develops in a natural way in response to what is needed. Thirdly, it was noted that leaders are decisive yet flexible so that they make decisions but if circumstances change, they also adapt to those circumstances. Leaders are also open to input from others on-site. It was noted that in most crises there is a “second in command” present, an individual who offers worthwhile suggestions and support and serves as a sounding board for improving the approach to what is happening. Successful leaders also have a calming effect on both their colleagues and on fellow team members as well as community members. They seem to be aware of others’ levels of fear and offer reassurance when it is needed, thereby engendering a feeling of confidence in their ability to direct everyone to safety. Finally, it was noted that successful leaders act logically. Their decisions are appropriate to the situation and congruent with available information. While being aware, knowledgeable, and inspiring confidence were traits most often cited as characteristics of successful emergency managers by all of the respondents, those qualities are followed closely by being able to find the right talent and build a team. Realigning and leading within the bureaucracy is an important quality but challenging the status quo and framing a vision is not rated highly, particularly by state and local emergency managers. Results are also supported by the leadership literature and because they are often linked to the degree to which a leader is able to successfully exert influence over others. While respondents did not use the word influence, they tended to mention the most significant elements or dimensions of credibility such as competence, trustworthiness and even dynamism to a lesser degree. State and local emergency managers did not identify professionalism as a leadership quality as often as federal managers (35 percent / 54 percent). This is consistent with findings reported by Carol Cwiak in 2007 wherein one emergency manager was quoted as saying: “The idea of guiding principles suggests a degree of professional consistency that I do not believe exists. By this I mean that I believe we have not yet achieved an emergency management ‘profession’ where the range of practices …is acknowledged as different applications of the same principles.” State and local respondents value leadership and team building more highly than federal managers (65 percent / 38 percent) but value technical acumen less (75 percent / 25 percent). 2. When did we know it?